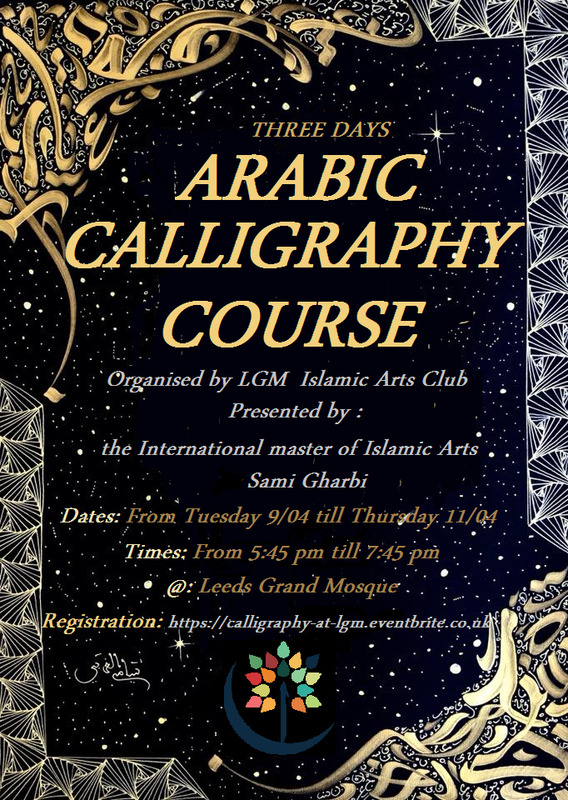 LGM Islamic Arts Club is proud to present you for the first time with a unique three days course in the art of Arabic Calligraphy, it's an opportunity not to be missed by you and your family. A three days training course in the art of Calligraphy at the end of which you can draw your own artwork on a canvas! Dates: from Tuesday 09 April 2019 till 11 April 2019. Times: from 5:45 pm till 8:45 pm. Who is it for: individuals 12 + & families.